Tigerton Lumber Company, located in northeastern Wisconsin, began operations in 1887. Today, modern production facilities, manufacturing equipment and process controls, coupled with a dedicated employee education program, allows Tigerton Lumber to provide our customers with the very best value in northeastern Wisconsin Hard Maple, Soft Maple, Red Oak, Basswood & White Ash. We own and manage over 40,000 acres of timberland throughout northeastern Wisconsin. Our continued commitment to strong forest management practices will ensure our timber resource for the future. We believe in sustainable and renewable American Hardwoods and dedicate our forest practices to achieve the highest yields from our forest lands. 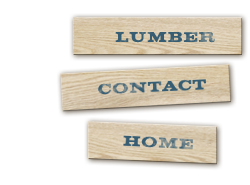 For more than 125 years Tigerton Lumber Company has viewed its customers as a critical catalyst to its success. We strive to select customers with our strong values and commitment to excellence. These same commitments provide a foundation to build upon and maintain lasting relationships with our customers. A history of sustainable forestry practices and commitment to supplying quality northern hardwood lumber, provided the foundation we continue to build upon today at Tigerton Lumber Co.